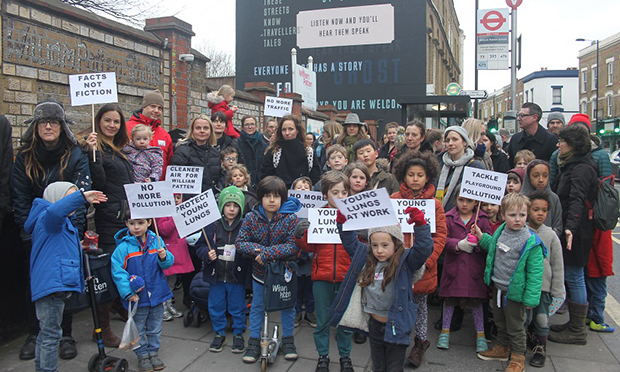 A long-running dust-up over traffic plans in Stoke Newington has erupted again after campaigners and the council sparred over pollution levels at four primary schools. Local group Cleaner Air for William Patten (CAWP) has been fighting council proposals to close up to four roads in the Walford Road area since they were announced last year. Campaigners say the move will lead to more traffic on Church Street and worsen pollution at nearby William Patten, St Mary’s Church of England, Princess May and Grasmere primaries. The council has previously said that no decision will be made until it has a “full analysis of the consultation responses and the potential impacts on traffic and air quality”. But the row blew up again this week after CAWP obtained the council’s air pollution monitoring figures, following a successful Freedom of Information request. The group says the results show “staggering” levels of dirty air at the four schools – and claim they already breach the National Air Quality Objectives (NAQO) and EU limit of an annual mean of 40 micrograms of nitrogen dioxide (NO2) per cubic meter. 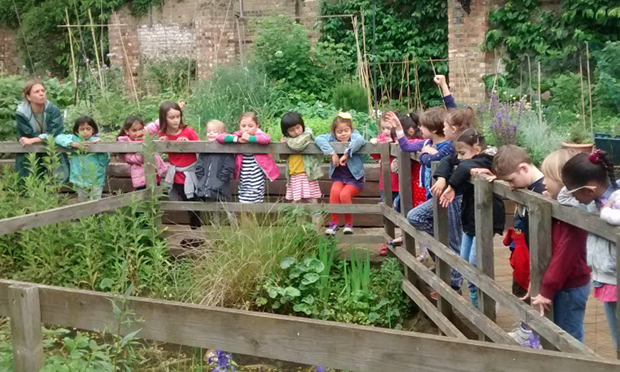 But Hackney Council says its monitoring appears to show that pollution outside three of the schools is legal. A spokesperson said the annual mean objective should be applied at the façade of the school building, but a short-term objective of a one-hour mean of 200 micrograms of NO2 per cubic metre, not to be exceeded more than 18 times a year, should be applied to playground areas. According to the council, these limits are met at Grasmere and Princess May schools, and are likely to be met at William Patten. However, the Town Hall did concede that the annual mean NAQO “is failed at St Mary’s Primary School”. A spokesperson said the council has prepared a draft air quality report with recommendations, and is arranging to meet the headteacher at St Mary’s to discuss it. CAWP is also unhappy about the council’s efforts to tackle pollution at William Patten – already one of the most polluted schools in the borough – with member Sally Newsom saying there had been “very little action” taken other than monitoring. But the Town Hall spokesperson said it is still considering these requests and it is “incorrect” to say they have been rejected. Hackney’s group director of neighbourhoods, Kim Wright, said: “The monitoring completed so far supports our assertion that air pollution levels at William Patten School meet national air quality objectives for nitrogen dioxide and are not illegal. “Once we have the final monitoring data and the results of modelling, we will be able to conclude whether or not any of the proposals would be likely to cause air quality objectives to be exceeded. “We are considering whether schools across the borough meet national air quality objectives and will provide an update directly to schools during 2018. Wright said the council has offered to meet with parents, teachers and CAWP members again in June once initial air quality models of the current position are ready.